A stunning Scottish statement! 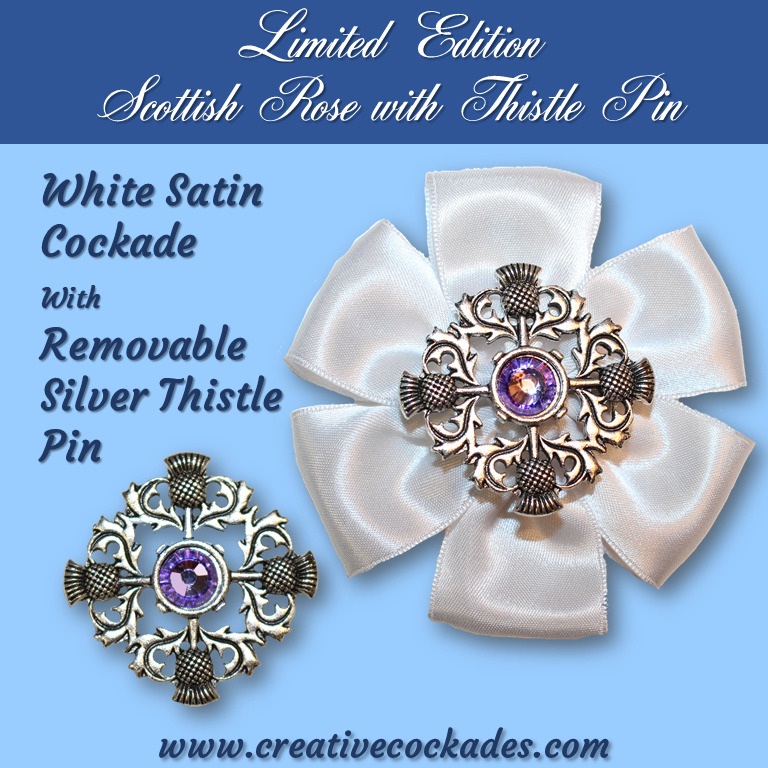 This beautiful white satin cockade is hand-sewn with a gorgeous thistle pin, emblem of Scotland, in the center. 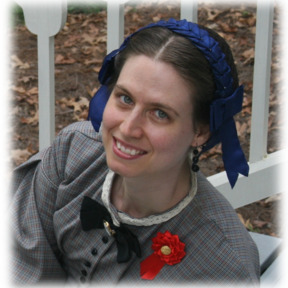 The pin is removable and can be worn separately. The cockade attaches with a sterling silver plated pin on back. Scottish pride has never looked classier! Approximately 3" (7 cm) across rosette. One of the most romantic figures in history was Bonnie Prince Charlie. Charles Stuart was the last of his family to attempt to regain the British throne from the German Hanovers. Returning from exile in France, he bravely entered Scotland with just a few followers. The story goes that he put a white rose in his hat when he landed. Thereafter he and his followers were often distinguished by a white cockade in their Scotch bonnets. 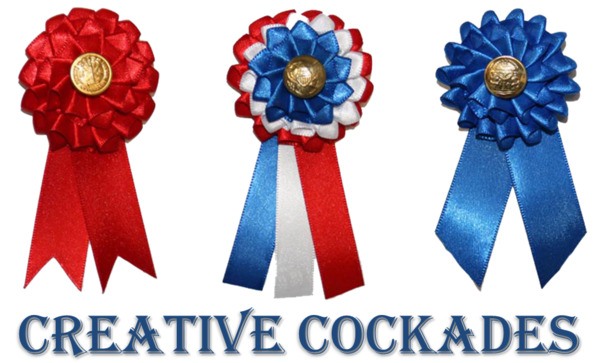 For more history on white cockades, check my blog entry HERE.